The Addiction Connection.com is a Resource for other programs throughout the nation. 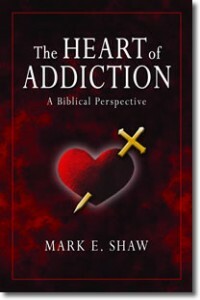 "The Heart of Addiction is an increasingly rare book—one that addresses a specific life issue in a biblical, deep, practical, wise way. • Affirms the authority of God's Word through personal testimony. This book begins that discussion, and the series on Mental Illness seeks to objectively challenge the current ideology while providing a proven alternative approach. It is a well thought-out and heavily researched effort that is sure to challenge your thinking and bring clarity to many confounding issues and questions surrounding the construct known as mental illness.